Are you excited for a new Honda S2000? Well don’t be, because who knows when or even if that will actually ever happen. Another patent showing off a weird, expensive-looking mid-engine Honda has come up, though, so who knows what this could be. The first time we got a look at this weird mid-engined Honda was back in 2015 with another patent filing. This new filing highlights the interior of this mystery car. The interior seems to show off possibly a tub-frame, with very low settled seating and an interesting steering wheel, along with a few nods to the new NSX thrown around. Is this a new S2000 successor? 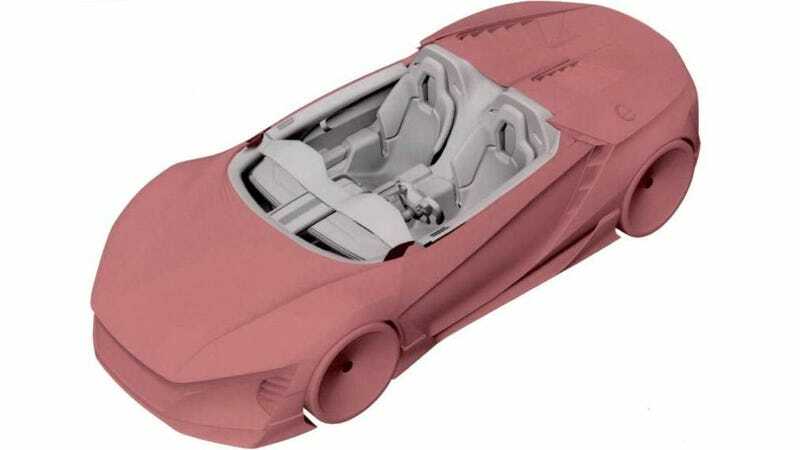 Well, it’s not really anything like the Honda roadsters of the past, and if the older 2015 patent filing is anything to go by, it doesn’t even seem to be a roadster this time (the renderings don’t have a roof to show off the interior). This is more of a baby-NSX, and it doesn’t look anything like cheap. Now, AutoExpress claims to have some tips on this car, saying it will have a 1.5-liter engine paired with an electric motor setup to reach around 300 horsepower, likely for a cost of around $70,000. That doesn’t sound too exciting? I think we’d all be better of taking our chances on the used S2000 market. Or a Porsche. But we’ll see if this mysterious car ever even goes on sale.